Councillor for the Feltham North ward since 2002. Deputy Leader of the London Borough of Hounslow between May 2006 & May 2010, with Lead Member responsibility for Corporate Services. He was also the Conservative Parliamentary Candidate in the Feltham & Heston constituency at both the 2005 & 2010 General Elections. He is currently the Conservative Candidate at the 2011 Feltham & Heston by election. Lives in his Feltham North ward, along with his wife and three children. Interests outside of politics are sport, especially football. Supports Swansea City but keeps a keen eye on the progress of both Brentford & Feltham. I regularly check your blog, and note that you take lots of pictures of the state of north feltham. Whilst I do not wish to detract from their importance (we would all love to live in a much cleaner, better feltham) I would love it if you would one day come and take pictures and view the children and parents of Feltham Hill Infant and Nursery School running the gauntlet trying to cross the road to the main entrance! Not only do we have to deal with inconsiderate parking, dangerous drivers who in some cases do not see why they should stop (as there is no formal crossing), its going to take a serious accident before anything is done. With two schools situated close together, the volume of traffic on weekdays is high, making the risks to children even greater. We have been without a lollipop lady for several months due to illness, and approx 2 years ago we campaigned (and won) a zebra crossing for outside the main entrance. This did not materialise and we are still using a speed bump as a means of crossing the road! When I followed this up, the staff I spoke to at LBH were helpful and provided info, but I was told that we would have to recampaign for a crossing!! why should we when it was already promised!!?? Schools obviously out for the summer now, but it would be great if you could pop along and have a look for yourself in September – and speak to some of the parents. The removal of graffiti, dumped rubbish and the cleaning up of feltham is important, as are community projects and shaking the hands of Brentfood Football Team – but the safety of children and pedestrians should be much higher on your agenda! I have your email address and will be in touch in relation to 1. We hope all is going well for you and the family. It looks as though your blog is very busy indeed. From the other side of the pond, we are busy as well. We are taking part in the local “tea parties” in Bellingham and it is always nice to see so many people participating with the same opinions as ours. Business is going okay but not great. Our new government has ruined the economy beyond what it was with Bush in office. There is no end in sight either and that is a big concern to us. Just watch our country closely over the next year as I believe you will see the beginning of the change back to conservatism in America. At least I am praying for that! Let us hear some news from you. I hope you are well and enjoying the Conservative Party conference. I sent you a letter about 7 weeks ago, but unfortunately you didn’t reply, so I tried emailing about 3 weeks ago and didn’t get a response. I hope you don’t mind me posting on your blog; I know it’s not ideal but I’m not sure what the alternative is. My original query is regarding Heathrow expansion. I’m a resident of Cranford and you’re the PPC for Feltham and Heston, which means that you could be my next MP. As you know Heathrow is a very important issue for people living near the airport and I would very much like to hear your views on the subject. I personally don’t think there should be a third runway at Heathrow. Many of the arguments for expansion (as given by the government) seem to have unravelled themselves, especially the economical arguments. For example, last month the Liberal Democrats re-ran some of the government’s analysis on the economical benefit, and found that with realistic figures the benefits of expansion are almost completely wiped out. And this is only one of numerous reports regarding the government’s dodgy excuses to justify this hubris. I don’t know who wants this third runway. Although many local residents in Cranford have jobs tied with Heathrow, they know that Heathrow expansion won’t give them better jobs. But it will result in more noise, pollution and stress on the local infrastructure. What’s also quite important is destruction of people’s homes. You may be aware that if Heathrow is expanded then hundreds on homes in Sipson will be destroyed, against the wishes of people living there. Some of the residents are OAP who have lived in Sipson their whole lives, and in some cases generations have lived there. Imagine someone came along and said they’re demolishing you’re home. You haven’t done anything illegal, but you’re pride, you’re shelter, you’re “castle” is going to be destroyed by the State for reasons unconnected to you. This is an example of State brutality. When we heard that the Chinese had evicted homeless people and tore down Shanty-towns for the Beijing Olympics we in enlighten England said how thuggish and authoritarian of the Chinese State. And yet the government in Britian is doing something similar! As you know, Cranford is about the same distance from Heathrow as Sipson. People here are wondering that if the government can do that to law-abiding citizens in Sipson, why not in Cranford? Are we next? There are numerous reasons to oppose Heathrow expansion and the Conservative Party acknowledges many of them, for this I am grateful. I am grateful that the Mayor of London, Boris Johnson, came to Hounslow and said that it was a travesty how the views of the residents are not being taken into account. It is Conservative Party policy to scrap Heathrow expansion (if they get elected). However, I would like to hear your views on the matter. I’m aware that you are employed by BA. My dad worked for over 25 years at BA, until he retired. BA is a good employer. I remember as a child going to company events; the Nursery School I went to (Cranford Nursery) had stationary donated by BA, and I remember when I was 7 years old going to BA Computer club (which I really enjoyed!). But the issue isn’t about BA. BA operates at numerous airports around the globe; BA will survive. The issue is about Heathrow and it’s effects on the people and environment (which I haven’t mentioned, but is an important issue). I would dearly like to hear you’re opinions on Heathrow expansion. As I mentioned, it’s a very important issue for the residents of Hounslow. I hope you can reply soon. Many thanks for posting on my blog. I do remember your email and apologise for not responding before I went to the Conference. I do not recall receiving your letter. Notwithstanding this, I am grateful that you have given me an opportunity to give you my views on this subject. I am opposed to not only a third runway but also the ending of the Cranford Agreement and the introduction of Mixed Mode. I think that the consequences of Mixed Mode are even more serious to residents in Cranford than the introduction of a third runway. I believe that there are some very strong economic reasons in favour of a third runway but these are outweighed by some of the impacts & externalities that you mention, such as the loss of housing. As I have said previously, I do not believe that there is large difference between the incumbent MP and me on the issue of Heathrow. Economically, Heathrow is critical to the Borough and provides lots of good quality jobs. But there is a balance to be struck. If I become the next MP, it will be a key, and sometimes difficult, thing to try and achieve. Please do let me know if you require anything further on this or any other issue from me. Thanks again for writing and sorry for the delay in coming back to you. I hope those details are up-to-date. I look forward to hearing from you. I apologise for this post but I haven’t received any replies to my emails; you’re probably quite busy so I can understand that. Have you had a chance to think about signing up as an Airplot owner? I see from your blog that you’ve meet John Randall; he’s signed up to Airplot. By any chance have you talked to him about that? As I mentioned in my emails Mary McCloud (PPC for Isleworth) has also signed up. There’s going to be a tree planting event to celebrate the occasion. To briefly explain: the founder of the cox’s apple was born in Sipson (village that will be demolished by Heathrow). To twin different parts of the country to Sipson, there will be simultaneous tree planting in Sipson and the rest of the country. Hounslow council has given us permission to plant an apple tree in Lampton Park. Mary McCloud will be planting the tree and the local press will be there. The event will happen on Saturday 14th Nov, 11am at Lampton Park (Hounslow). We very much hope that you too can become an Airplot owner and take part in the ceremony. Having all the Conservative PPC’s for Hounslow sign up will be brilliant publicity. Thank you again for raising the issue on my blog. As per the posting on my blog today, we have a way forward. Hello, I am not sure who to write to but I am very very angry. I have lived in Feltham for about 3 years and have used a bike mostly to get round although I have a car so I can go ‘home’ to Nottingham. A friend of mine came to see me by train and I picked him up at the main Feltham Station car park. He left two days later so I asked if he wanted dropping off as he had luggage. He said yes but could I go over the bridge on the other side so he didn’t have to carry the bags to far. I drove down New Road (first time since I have been in Feltham) and wanted to drop him off at the Station door (like the other side) with the luggage. I wasn’t allowed to as the ‘bus station’ was for busses only, but noticed a pull in bus stop in front of me (no know to be stand C) so I pulled in there towards to end of the stand as the area was very quiet (no buses even) and I thought this was the safest option for health and safety reasons and to think of other road users). As he got out he pulled his luggage out but I stayed in the car with the engine running and I was there for approximately 20 seconds. I then drove off. I saw no clear warning signs. This was the 28th August in the morning. On the 9th Sept I got a “warning notice” from Hounslow council to say I had been caught on there ‘approved device’ CCTV stopped in the bus stop (disused bus stop C that is) and that it said “Please be aware this is a warning notice and in futire a Penalty Charge Notice may be issued”. I was of course shock by this as I was not even aware I had committed an offence. Also, I took this as a warning as the letter intended. The next day I got another letter but this time it was a PCN for the ‘offence’ which I got a warning for prior. I have never had a PCN issued before in my entire 30 years of driving as I am always a safety conscious driver and always thinking of others and safety. This first letter said it was a warning letter, and I was shocked I had ‘committed’ an offence anyway as I was not aware I had done anything wrong. I knew I was being safe to my friend with luggage and to others around and other road users by pulling over in to a ‘safe place’ rather than holding up traffic, if there was any anyway (which there wasn’t). I can accept a warning as I was not aware I had committed any crime or offence and certainly had no intentions of doing so, I thought I was being ‘safe’. The fine is extortionate to say the least for a such a minor offence (20 secs) and in my view a money making venture. My actions were safe, and to inconvenience no one at all. I am so so furious that Hounslow could not use discretion as the operator 446 could have seen what I was doing, letting down a human being with heavy luggage. This seems so so unfair. Yes a warning notice being my first ever offence but to punish me with such a heavy financial burden like this is cruel to say the least. We are all struggling to make ends meet. I would NOT have done this had I know that I was going into a ‘restricted traffic area’ The signage clearly are not visible enough otherwise I would have seen them as I was a ‘stranger’ to those parts, but clearly I did not, so they can not be seen as they should be. The Signage should have face towards the traffic saying ‘restricted bus stop, no stopping’ or just painted in the bus stop, ‘NO STOOPING’. You can only see the signs (although I clearly didn’t) once you have ‘stopped’, but then it’s to late they have caught you in the trap. It seems so unfair and I think discretion should be seen to make sense here. If I was a persistent offender then fine; if I had stopped (engine turned off) and went to the station with my friend to see him off, then fine; or if I had parked up and gone somewhere, then I would expect to have been towed away. Common sense prevails and logic and discretion. Unless it really is a money making trap. It nothing to do with wheelchair, or disabled people crossing or causing an obstruction etc, cos I wasn’t in anyway do so, I was being safe to my friend and others around me. But to set down someone in a safe manner for 20 second seems unjust to be fined, other than if it’s a money making business. This bus stop is NOT used, or very very little and as this is a Main bus station and train station so there really SHOULD be a drop of zone, after all we are meant to encourage people using public transport not drive them away. I AM SO ANGRY, YES FOR BEING CAUGHT FOR A 20 SECOND MISTAKE, BUT MOSTLY BECAUSE IN THIS CASE A WARNING NOTICE WOULD HAVE SURFICED NOT A HEAVY FINE being my first ‘offense’, this has only made me alienate myself from the borough council I live in, and will prevent me assisting the council for anything they may ask me to do as a resident of Hounslow. When I came here I really thought Hounslow was a good council, now I am not sure as I have now had time to look into this (web searching) and I appear to not be the only one aggrieved over this matter. As Bus Stand C is NOT used I agree with you and that the Stand C should be made into a drop off / pick up zone only as long as people don’t abuse that and stop and park. God, you can’t start to understand how angry I am and how I now feel about Hounslow Council. I intend to fight this PCN due to insignificant warning notices, as you would need to stop to see the signs, then the crime has been committed and photographed. £50 (if paid promptly) is a hell of a lot of money for me to loose and a hefty fine for such a minor offence which was not committed knowingly. I hope they will reconsider this PCN and leave it as a warning, I will certainly not be going round there again. If I am one of them, please do get in touch anytime I can assist. I just happened to come across your blog, while looking for information regarding the old Feltham Community Centre (A.K.A Feltham Hotel/Feltham Feast), was pleasantly surprised to see the work you do for the area, and how residents of the area can contact you. I was just wondering if you knew what future plans were in place for this building, as it seems to have a lot of history for the area, while it also being a shame of the state, that this building now stands in, as it’s not like Feltham could do with more community orientated centres’ to bring the local community together?? It seems to be a spate of lack of investment (which is currently understandable), or will to re-invest within the communities history that leads to Felthams’ reputation, as a media football to kick-about and then the reputations sticks. (Hanworth Park House another prime example). I think it could be a case of scratching beyond the surface to realise that Feltham (as a town & community) has a lot more to offer, while revisiting some of its past, may well lead to an improvement regarding it’s reputation, and re-ignite the community spirit that Feltham once had, and could well have in the future. And would welcome new members or new relevant information regarding the town and local areas. Hi John. Not speaking for Mark here, but myself. As you know, I am one of the administrators of the Feltham, Hanworth and Bedfont Appreciation Society. 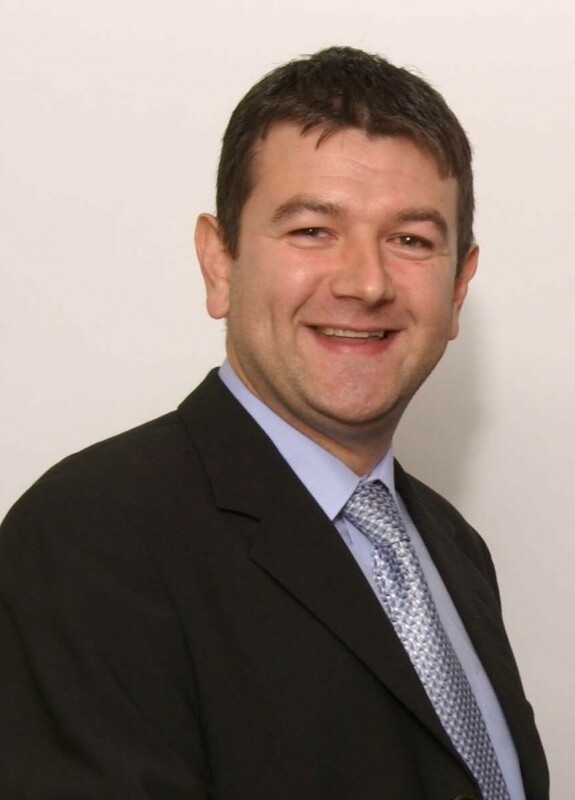 Councillor Bowen is also one of our members, and has regularly contributed in the past particularly on controversial issues such as the Feltham Hotel site (though of course he never knew it as a hotel, only the former Feltham Community Association building). Unfortunately, the discussion threads on this subject on the group have now been deleted by Facebook, but thanks for the unsolicited plug! I think many local residents would be interested to know, though, who the purchaser of the Feltham Hotel was, and what plans they have for the site. It remains sad that it did not remain as a building owned by the local council tax payers and used for their benefit, but we can but hope that it will be replaced by a building of use to the whole community, and not just yet another block of flats, as many fear. If Mark is able to give an update on what is happening- though he probably knows no more than the rest of us- I’m sure it would be appreciated. Hi Mark, thanks for your reply, for some reason I’ve only just been notified about it. Yes as you say, I’m sure someone out there knows who now owns it, and what their future plans for the plot/building are? Would be nice to hear from someone who could answer a few questions !! I would be grateful if you could investigate and explain why the planning enforcement service seems to be completely ineffective at present. I believe that you should be putting pressure on to improve the service and regain the reputation it once had. I rarely see any press articles about planning enforcement and the work they are doing so much so that many of the clients I advise feel like they can built what they like without obtaining permission. I note that you don’t appear to have mentioned enforcement on this blog for a considerable period of time. I hope it doesn’t get to the stage where hounslow is mentioned in the national media in a similar negative way to our neighbours Slough and Ealing regarding these beds in sheds. Thank you for your comments. Whilst the problem of resources continues in this area, I think that this area is far less controversial than it was a number of years ago e.g. the enforcement committee that deals with these matters instead of the previous Area Planning Committees has approved all recommendations sent to them. If you have any examples, I would recommend you send them to one of your ward Councillors or me. One could argue that the enforcement service is less controversial because officers are choosing to make it that way by putting the more difficult cases to one side and not making the public aware off there success stories. Which is a shame because there are seeming no penalities for not obtaining planning permission in Hounslow. The Council’s failure to get there message out is allowing the dreaded word of mouth advice people recieve from relatives and friends to take hold. Unfortunately the advise people are recieving from relatives is do what you want the Council wont take any action. If the enforcement committee approves all recommendations is it not time to just give officers delegated powers to issue enforcement notices but retain a members right to call in an item to committee. This works sucessfully in other areas of London where officers have been given full delegated authority and takes out the political element. Why is there a resource issue in this area when we are in a recession with plenty of planners struggling for work or career opportunities in and around London. Its either a wage issue or they dont like the product being offered to them. Perhaps you could clarify when this resource issue is going to be overcome. I found your blog after searching planning enforcement in Hounslow and noted that most of the activity seems to be from years ago. It is a shame that this activity has not been continued. Especially when people who put in applications are asked to amend plans to shave 50cm of reasonably sized extensions when their neighbours a few doors done have just gone ahead and built a 10m extension without any seeming punishment. What is the point in a planning service if it is not enforced effectively? Anyway enjoy the rest of your weekend.